Founder and major shareholder, Bill’s responsibilities as Chairman extend to the company’s strategy, financial security and corporate culture. He is fiercely proud of his company, with a client list that includes 24 of the world’s largest 100 companies and 4 of the top 10. Over 40 years as an industry stalwart and contributions through industry associations in 2010, Bill was made a Life Member of the Australian Tourism Export Council. 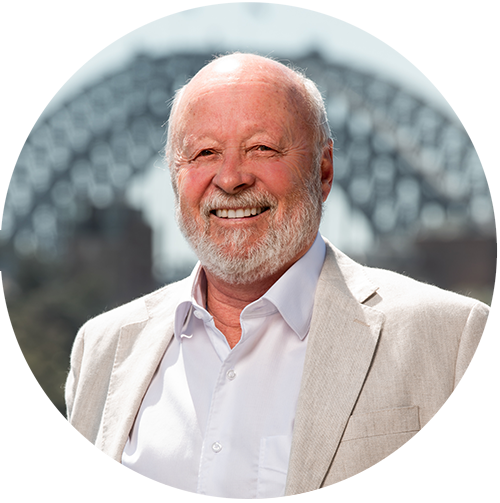 He also has over 20 years as a public company director, including Hamilton Island Ltd and 7 years Chairman of the Sydney Attractions Group Ltd. Bill is also a Fellow of the Institute of Company Directors. For leisure, Bill has enjoyed 40 years of ocean racing including 16 Sydney to Hobart races.